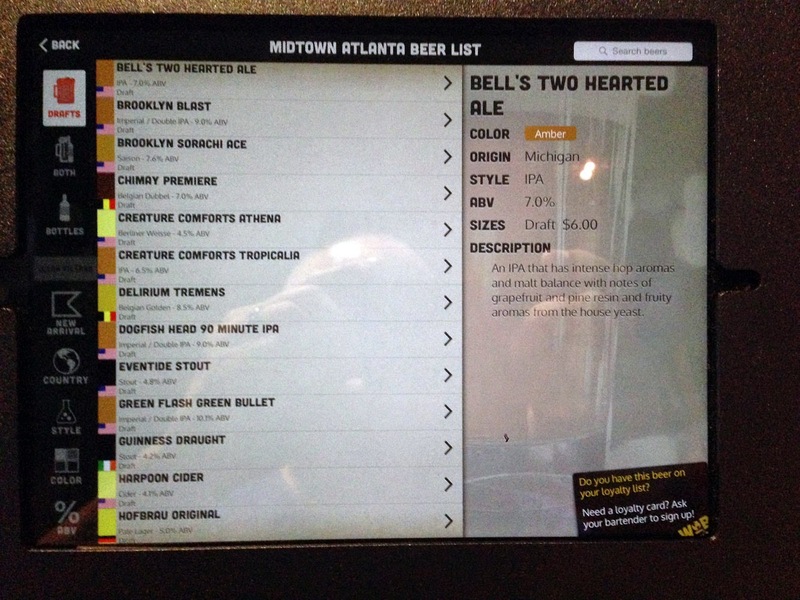 The World of Beer Atlanta is located at 855 Peachtree St NE, STE 5 across from the Gordon Biersch and near the Fox Theater - note that if you use Google the address is incorrect (missing the "NE") and will take you to the wrong location. It's also a free WiFi hotspot. 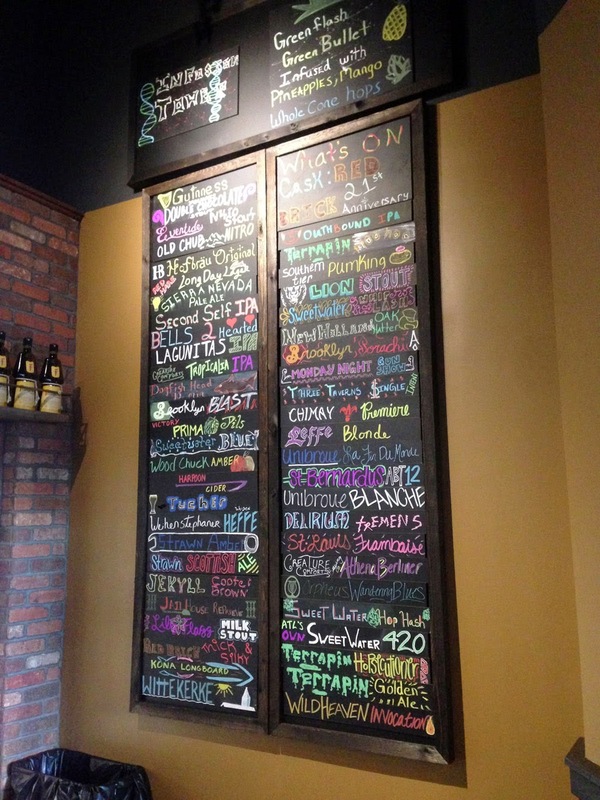 This is a nearly 4000 SF facility with 500 bottles, 4 nitro and 53 rotating taps. 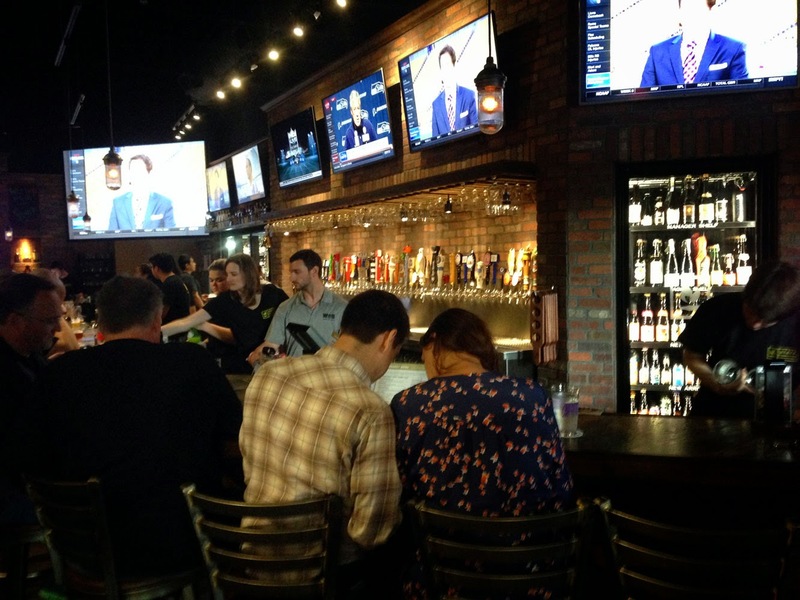 This is also the first WOB opening in Georgia (there's a second coming to Kennesaw) for the Tampa based company, currently operating in 19 states and 63 locations. Parking is available at Viewpoint Midtown Condominiums (corner of Peachtree St. NE & 6th St.) with up to 2 hour validation. There's also an uber code: WOBATL. 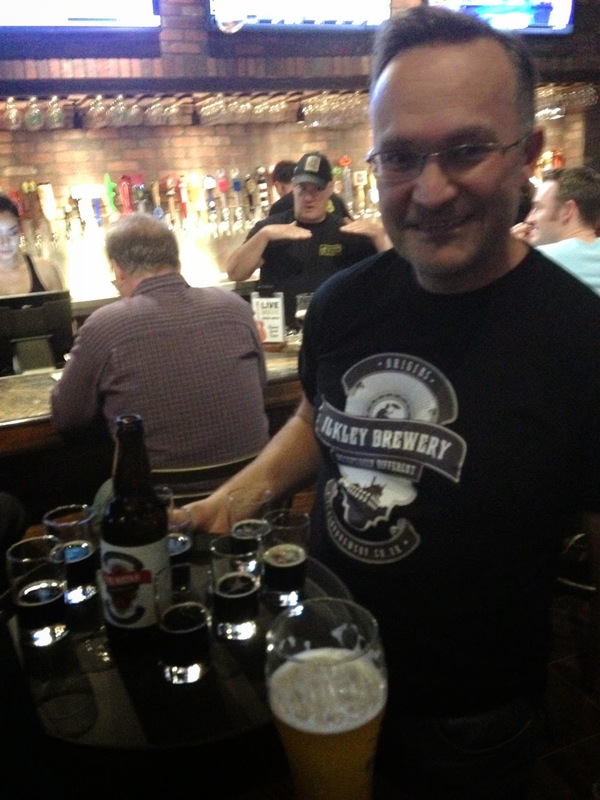 The loyalty club is also worth joining (free T-shirt and a draft worth up to $7, along with "points" as you sample and attain badges), along with a free app on iOS and android. 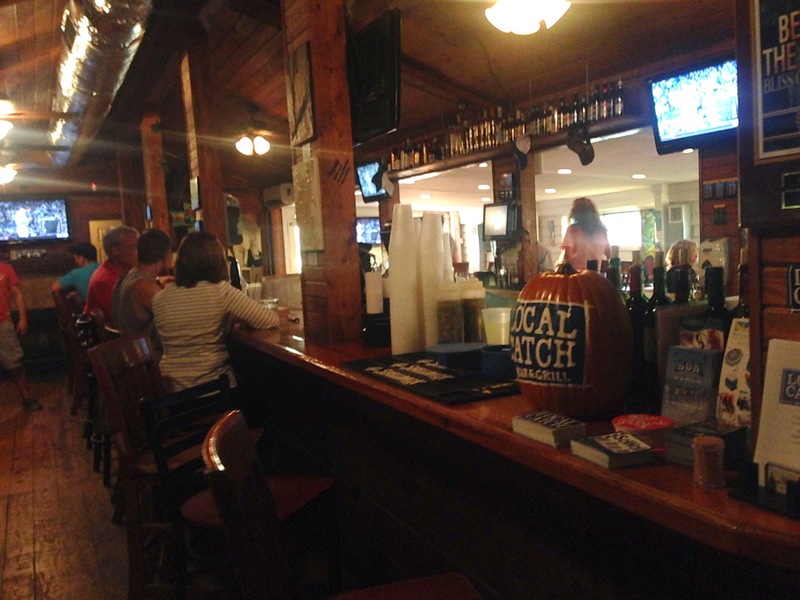 The bar and seating are extensive with many flat-panel TVs with the current game (with sound!) going. 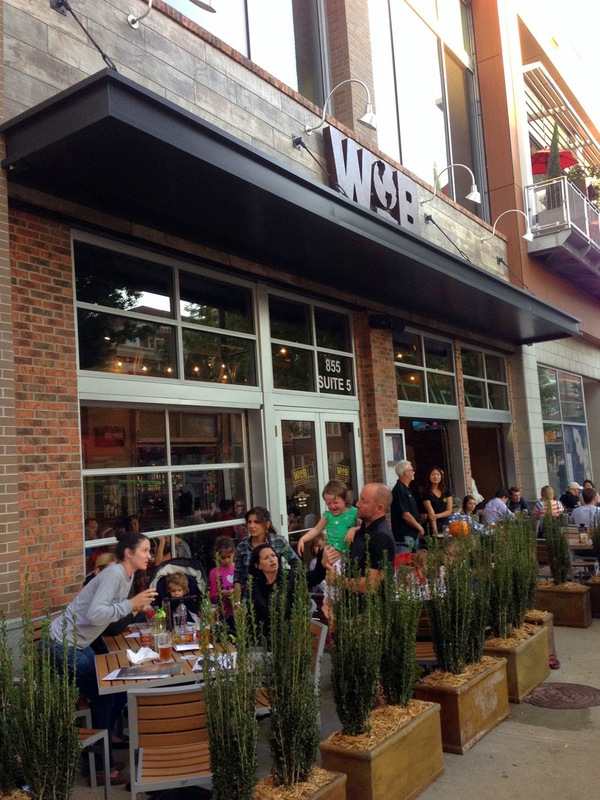 There's an exterior deck for a street level view, and interior, covered courtyard and the bar itself with elevated tables. It was loud and hectic, as you would expect for an opening night. 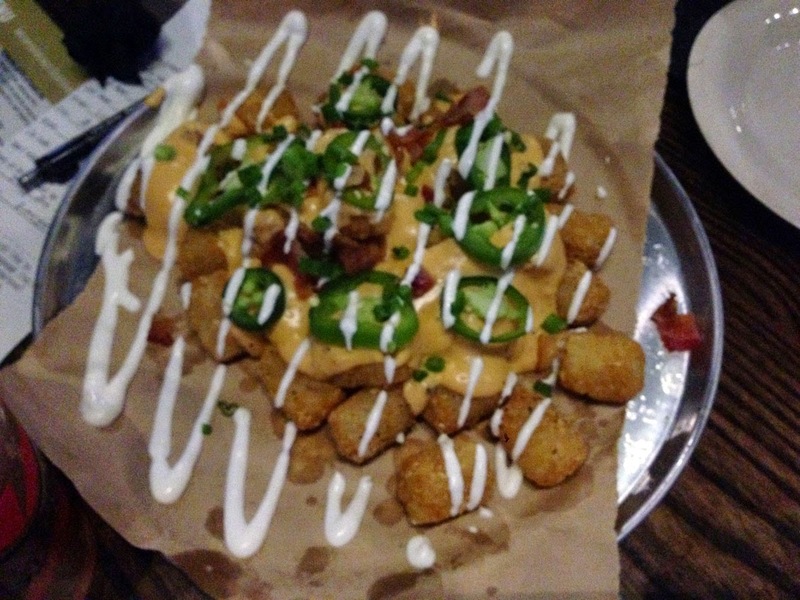 Tavern Taters - the tots were covered with beer cheese and fresh jalepenos and a bit of onion and a drizzle of sour cream. 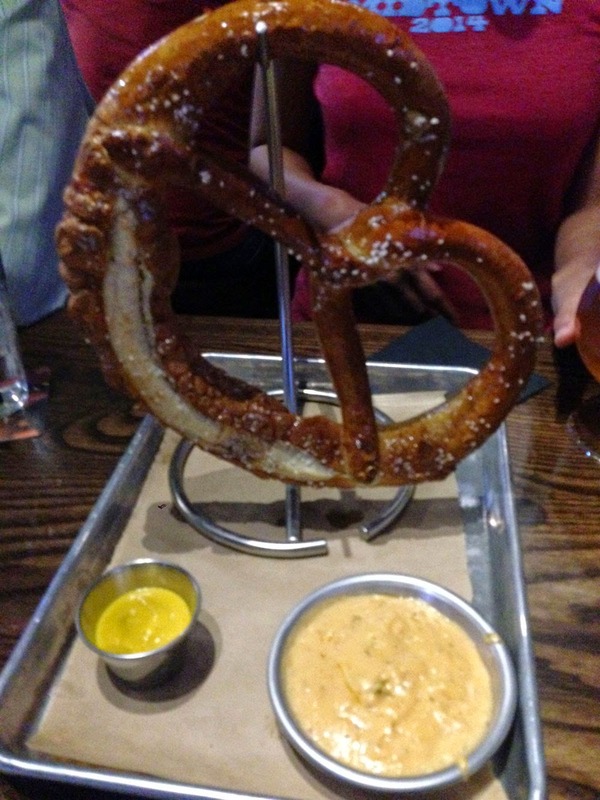 Gigantic German Pretzel with Beer Cheese - the Bavarian standard baked and lightly salted. I liked that it wasn't killed with salt as you normally see in the smaller variety - appropriately soft on the inside with a bit of crust and delicious dipped in yellow mustard or the optional house-made beer cheese. 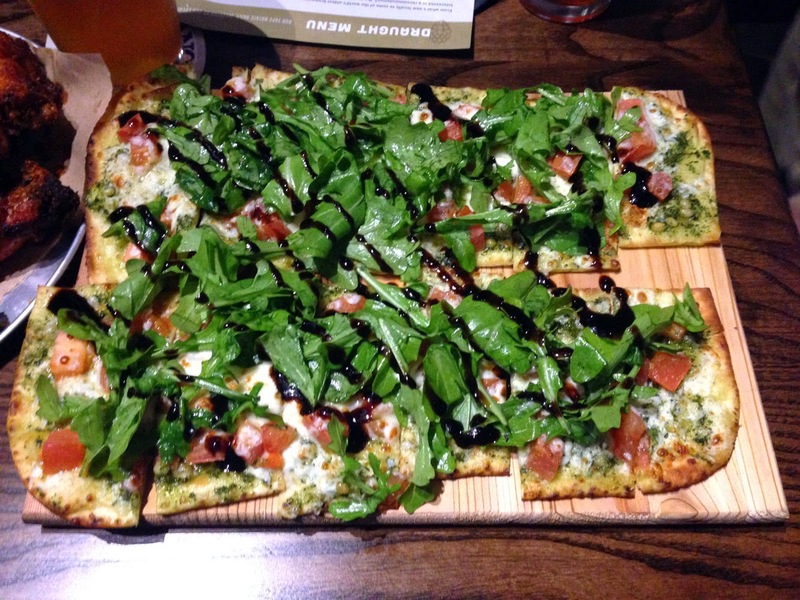 Margarita Flat Bread - there were two sizes on the menu, and of course we went with the largest - plenty of fresh basil on this and well apportioned cheese and pesto. 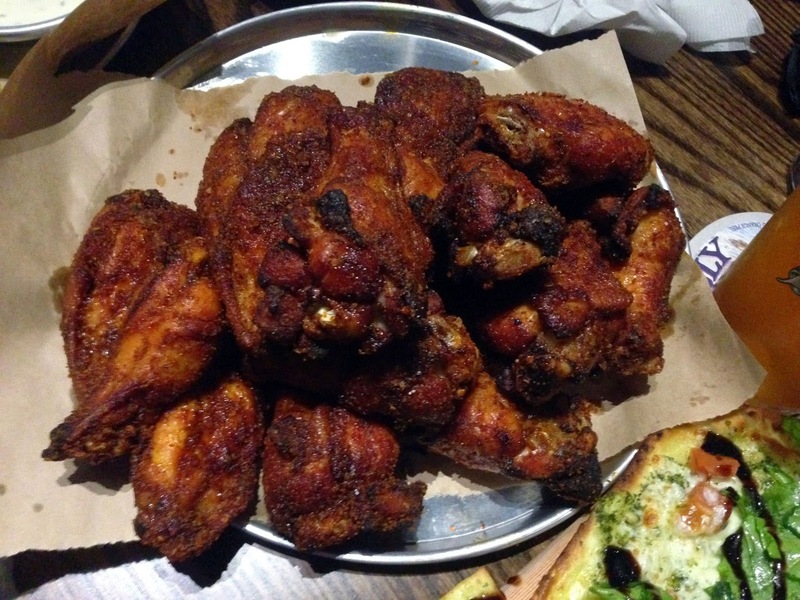 Dry Rubbed Chicken Wings - the jumbo 20 count. 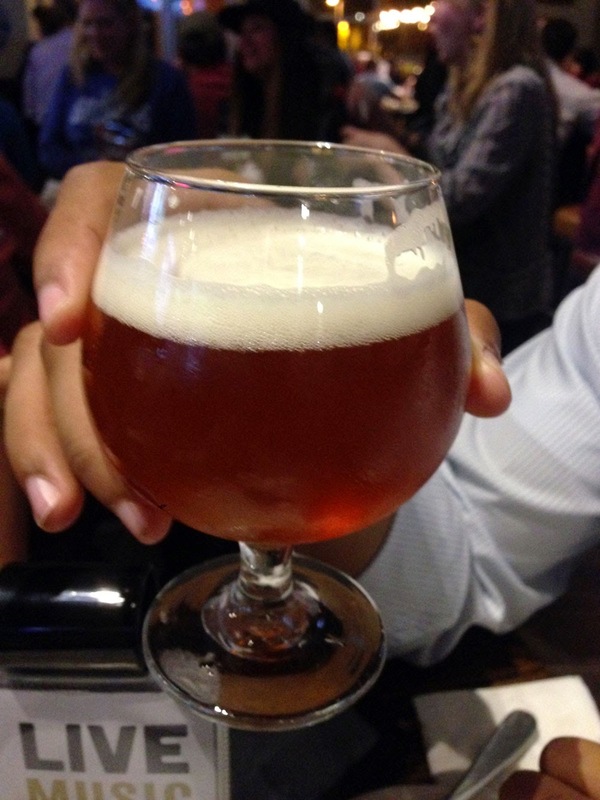 In a word, delicious and for this alone worth trying WOB. Slightly sweet, smokey and good - if you don't like these then there's something wrong with you. 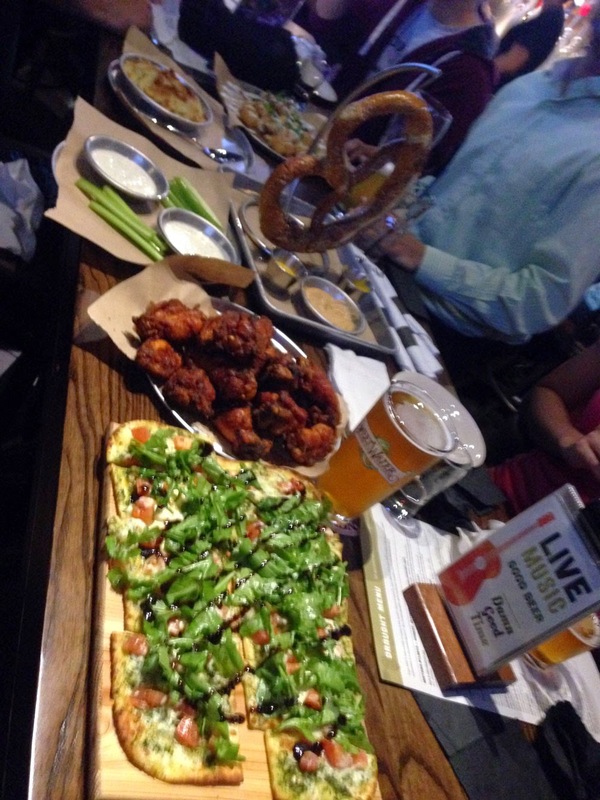 Of the apps, the Pretzel and wings were a cut above the rest. 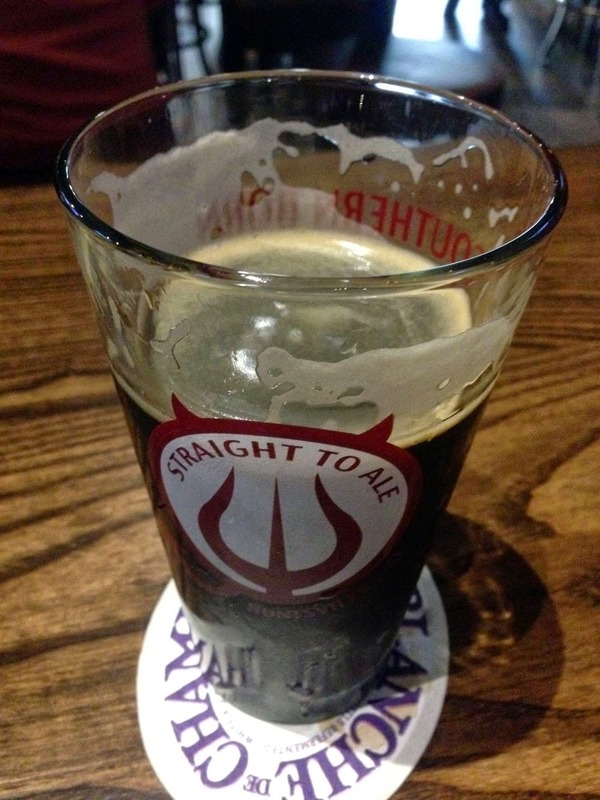 Lion Stout - this rich, dark stout from Sri Lanka has become one of my favorites, after originally trying it at Cafe Bombay - it has an ABV of 8.0% and is just plain good. 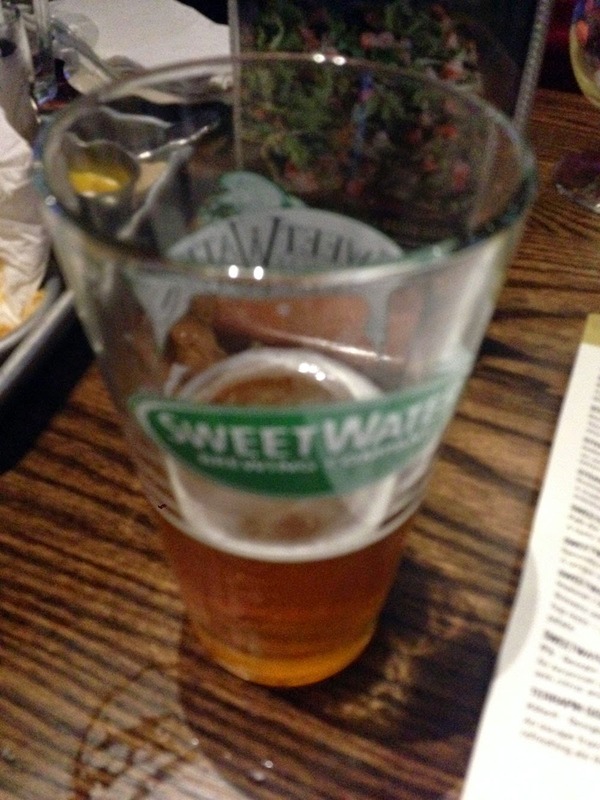 Sweetwater Hop Hash - this more-than-appropriate bitter Imperial/Double IPA is much darker than you would expect and at 7.8% ABV will certainly get your buzz on. 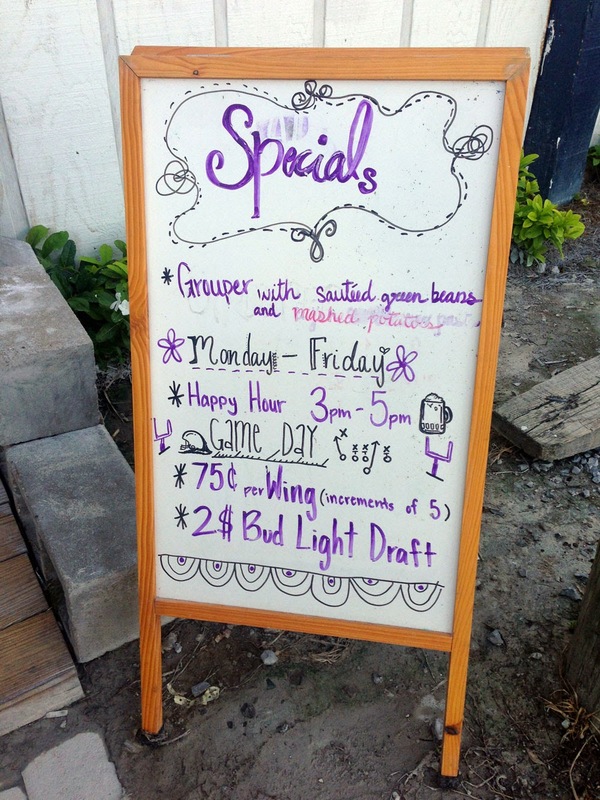 I found it went well with the pretzel and beeer cheese and the rubbed wings. 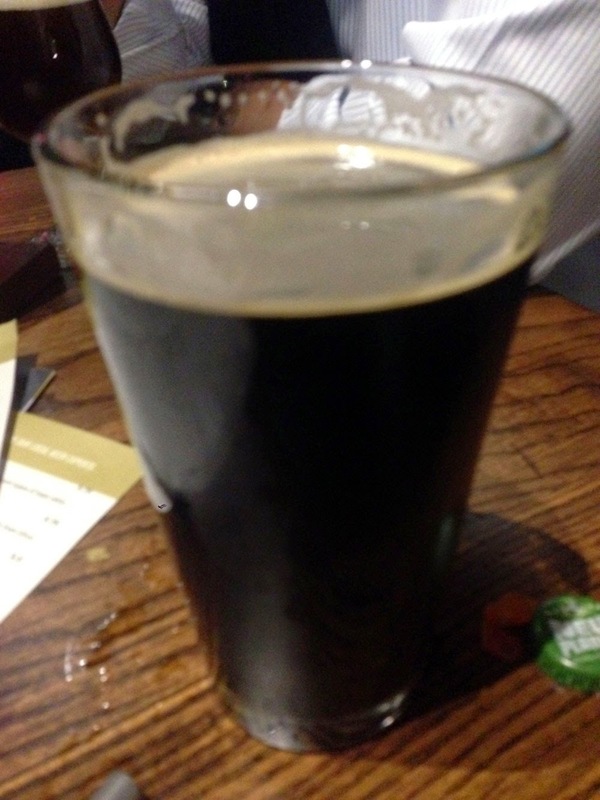 Terrapin Moo-hoo - this chocolate stout from the venerable Athens brewery was one of the better I've sampled, cleaner than most I've tried with distinct chocolate flavor. 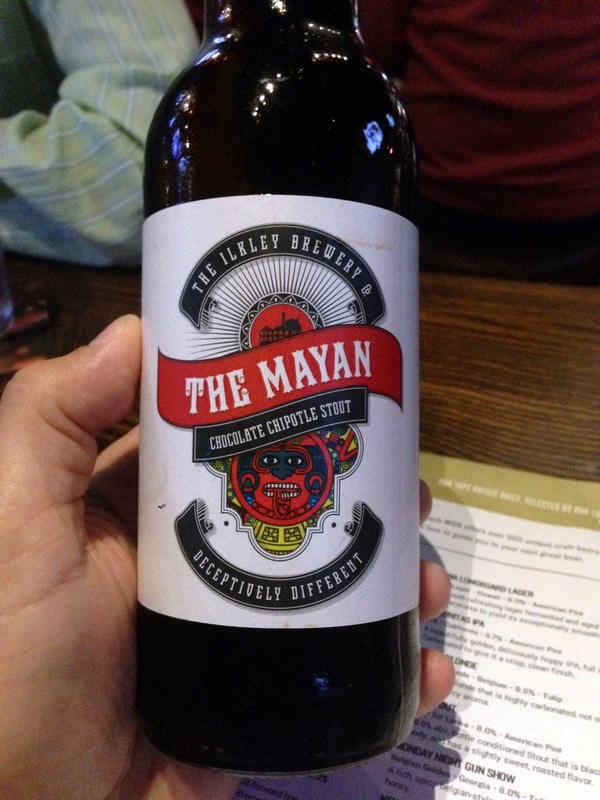 At 6.0% ABV a bit less of a hit than the Lion I started with. I'll have to be careful with this one or my waist size will go up a couple of notches. 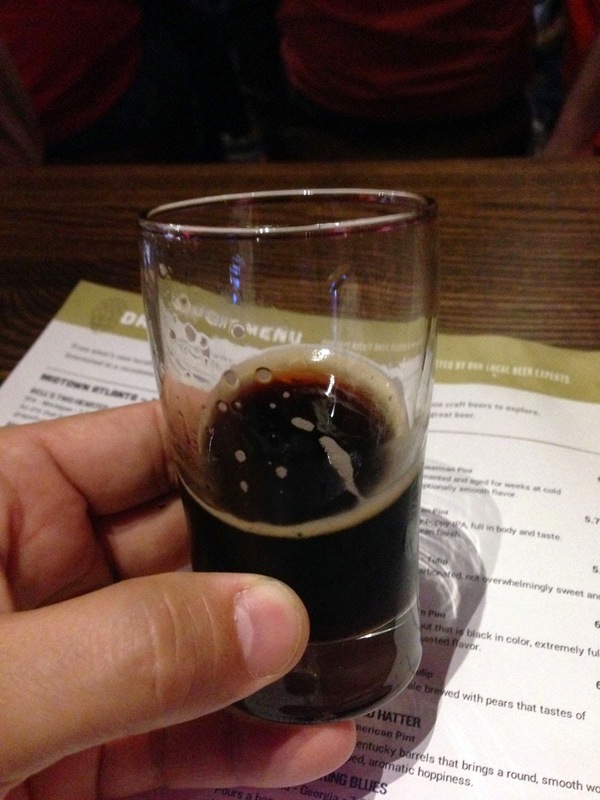 I also tried a few other drinks including free samples from a rep attending from the UK's Ilkley brewery who was passing out shots of Chocolate Chipotle Stout - this reminded me a bit of Harpoon's Chocolate stout only cleaner in the initial hit and but with much heavier Chocolate at the finish. 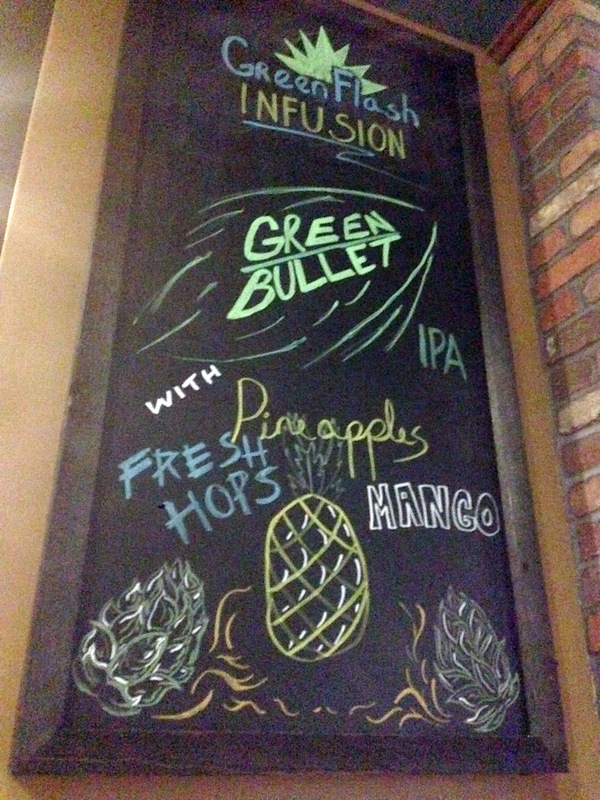 I also sampled the Infusion for the evening - Green Bullet with citrus accents (mango and pineapple). 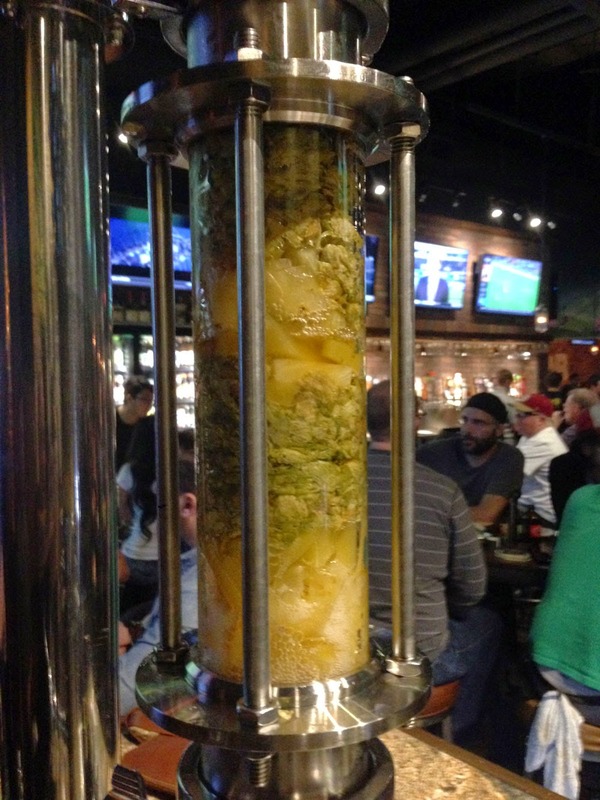 I normally don't care too much for infusions but this one was very clean, with a delicate finish - it also starts with a Green Flash Green Bullet Imperial IPA at 10.1% ABV, already big with grapefruit and melon. 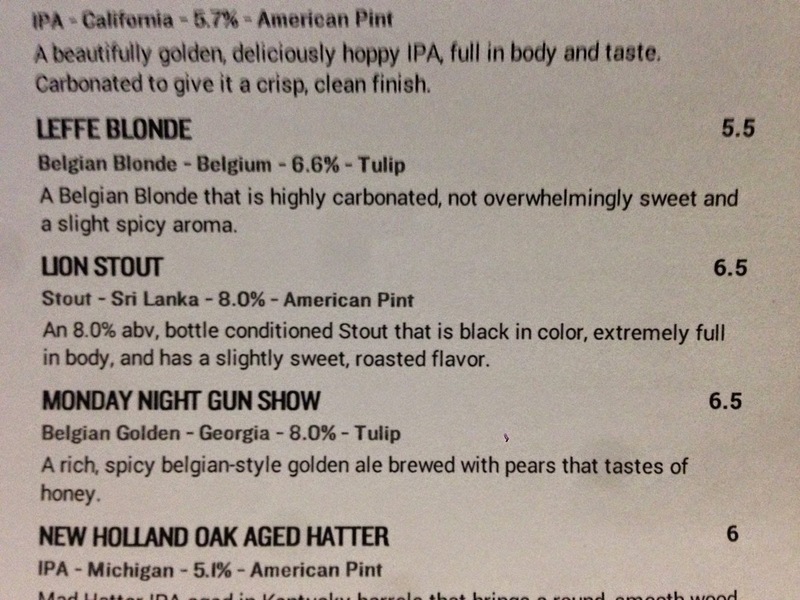 There was a surprisingly large number of brews available above the 10% ABV mark - more than enough to get your drink on! 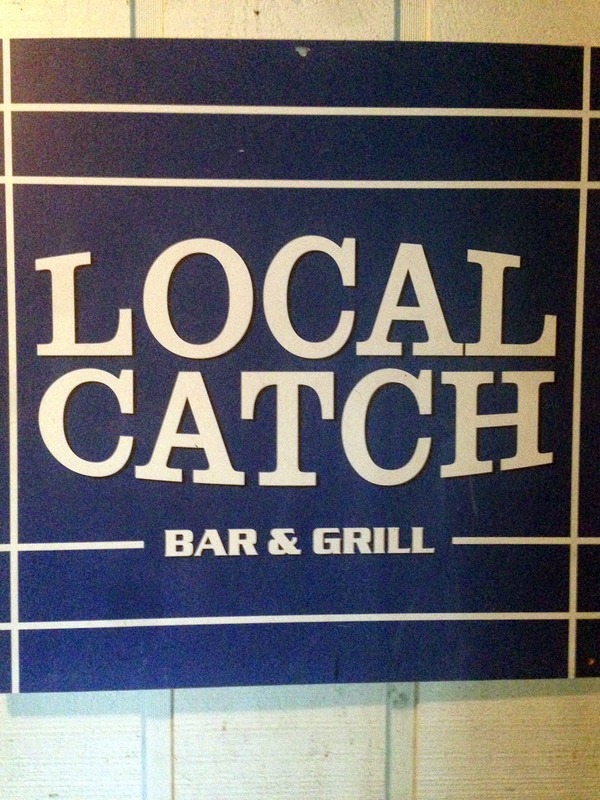 Local Catch Bar & Grill is located on 3711 W County Hwy 30A, Santa Rosa Beach, FL 32459. 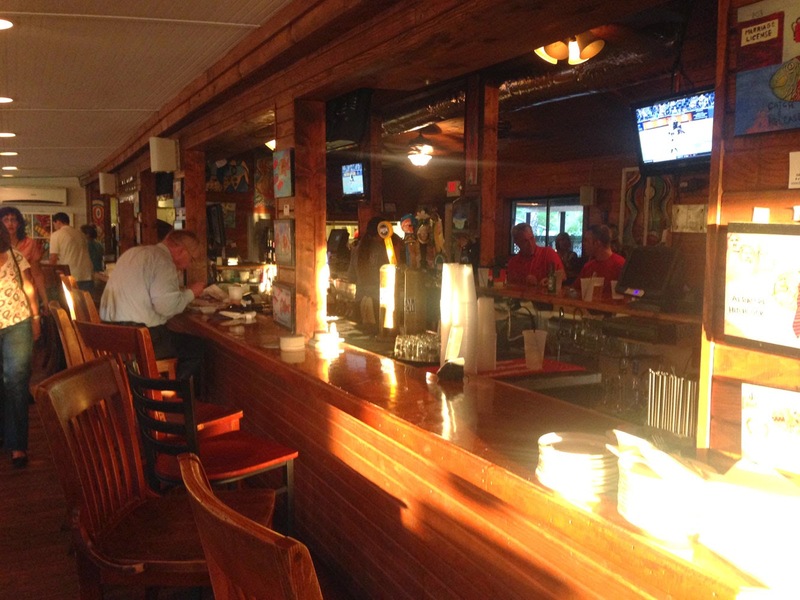 The building's long side faces 30A with outside seating, a well-stocked bar and additional tables for diners. This part of the panhandle West of Seaside but East of Destin is part of the beaches of Fort Walton, including Santa Rosa, Blue Mountain and Grayton State Park. This area has been one of our frequent vacation spots due to the white sands, wide beaches and lack of commercial development - it's also frequented less than Panama City and other larger city centers and we enjoy a bit of solitude. 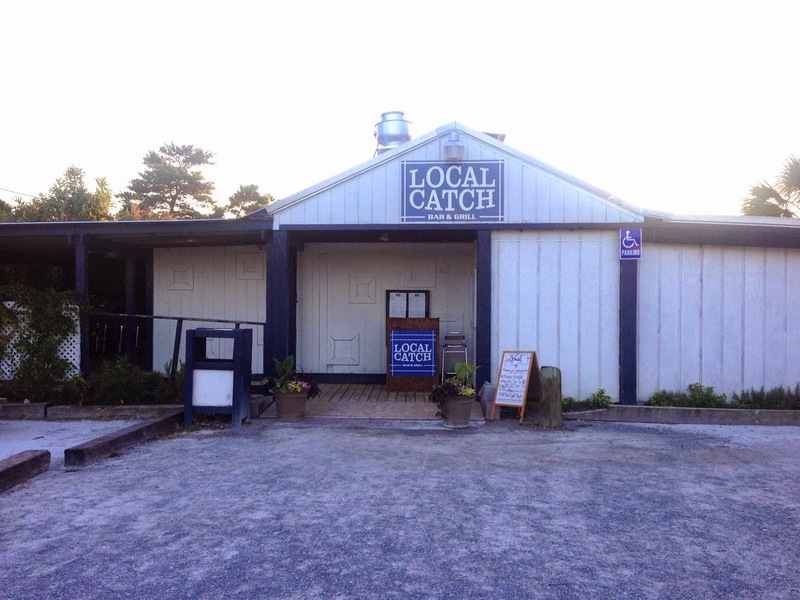 There are several restaurants along the County Hwy 30A corridor and Local Catch is one of the better, in my opinion. We visited in late September 2014 which is a perfect time at the beach - clear weather, still in the 80's during the day so the beach isn't too hot, calm surf and few people. The bar dominates the main room and I can see this as a great hangout for locals (there are a few flat-panels so you can drink, munch and watch your favorite team). The exterior seating was empty the night we went but this was in late September so not prime-time for tourists. Noise levels were high so if that's not your bag you may want to try visiting earlier in the day when it's less busy. 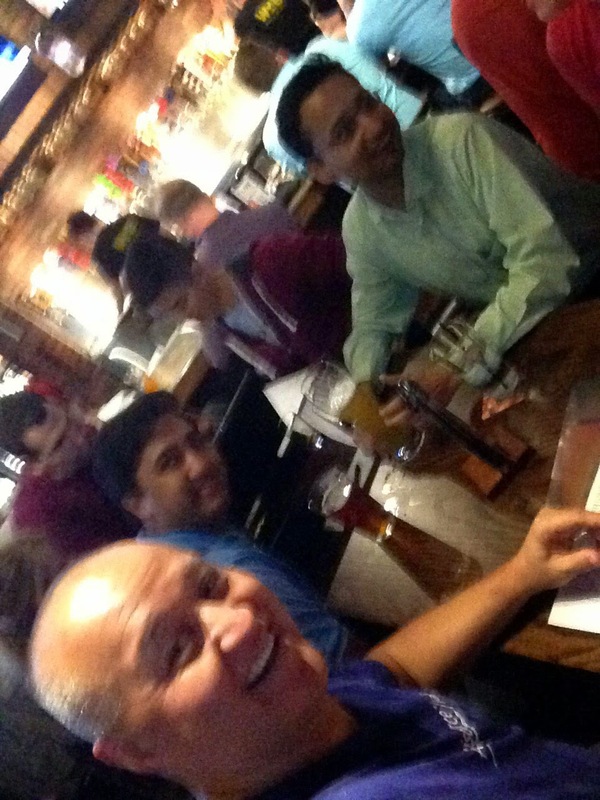 Mid week with 8 in the party we were seated pretty much immediately and given menus. 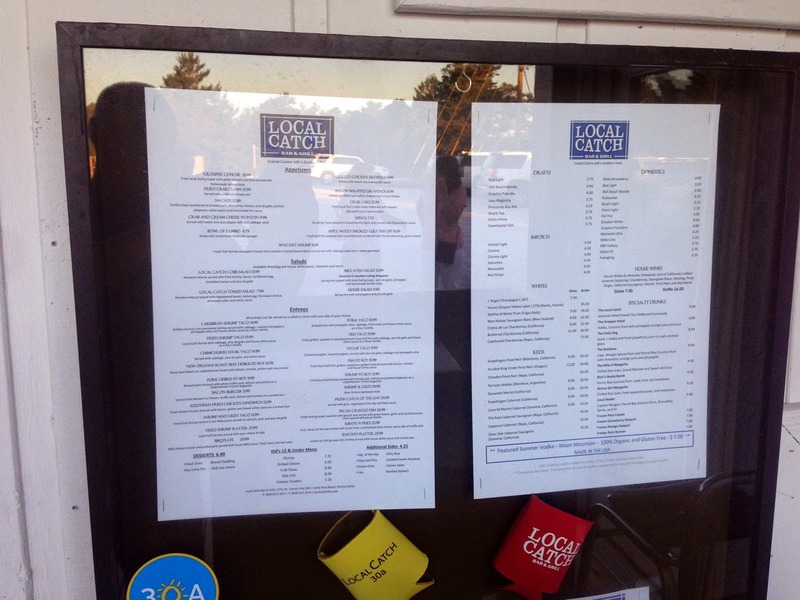 Our waiter was in a word, fantastic, making great recommendations based on a superior understanding of both the food and drink Local Catch offers. 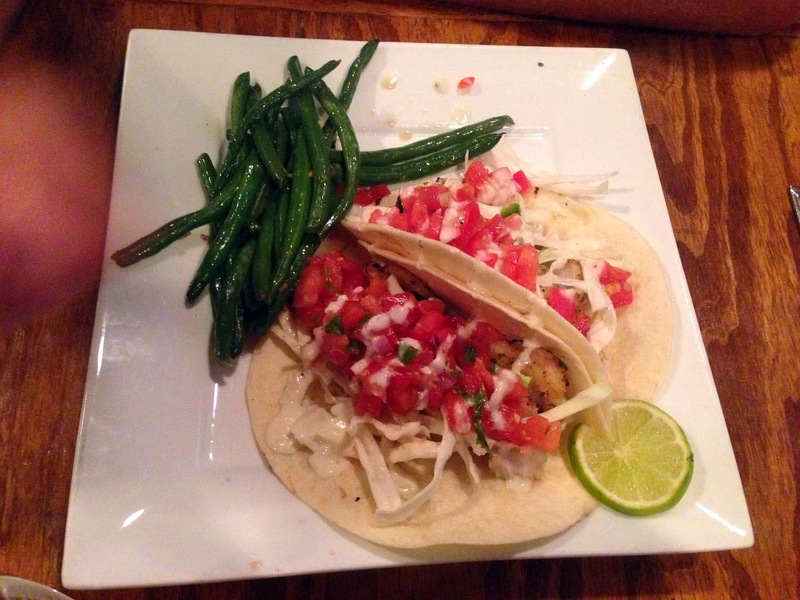 The menu is fairly extensive with many seafood options - in particular Florida grouper in incorporated into many of the items and is in several of the specials. 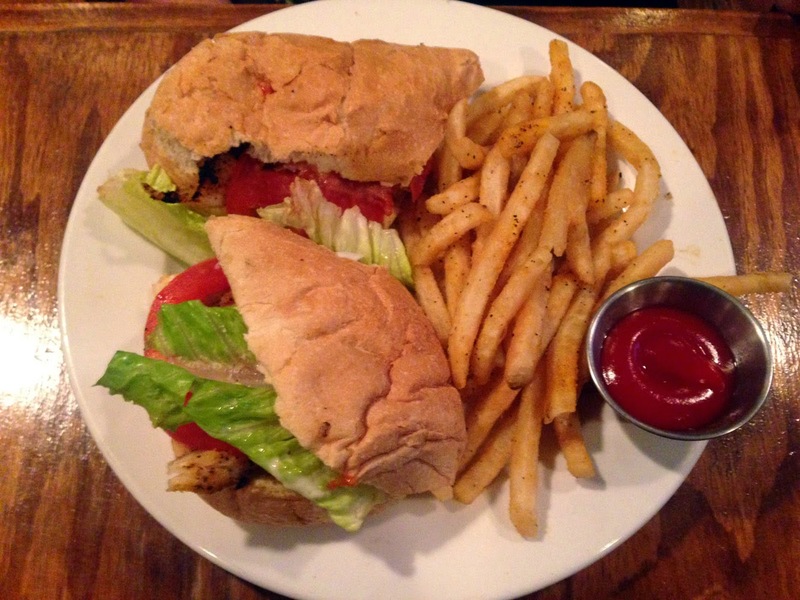 If you can't decide, I'd recommend the grouper. 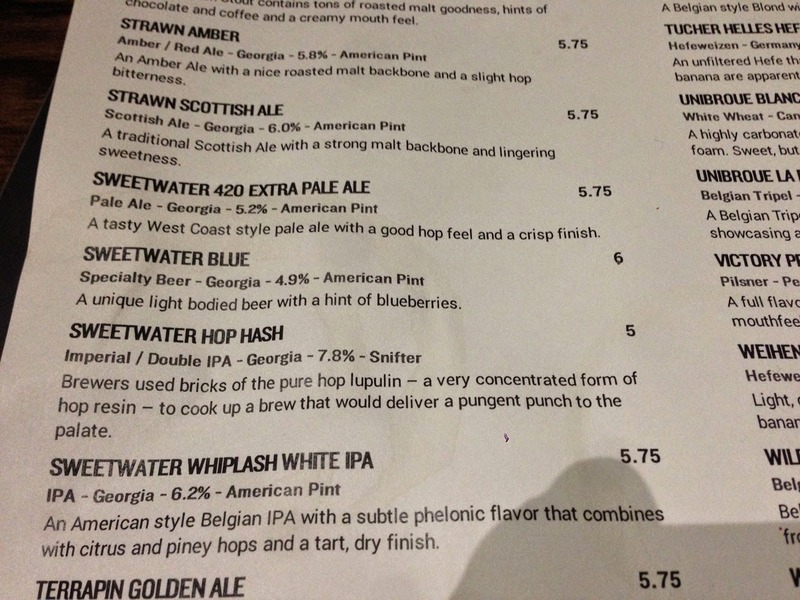 There's also a few local brews to sample as well as the old standards including my backup Sweetwater 420. 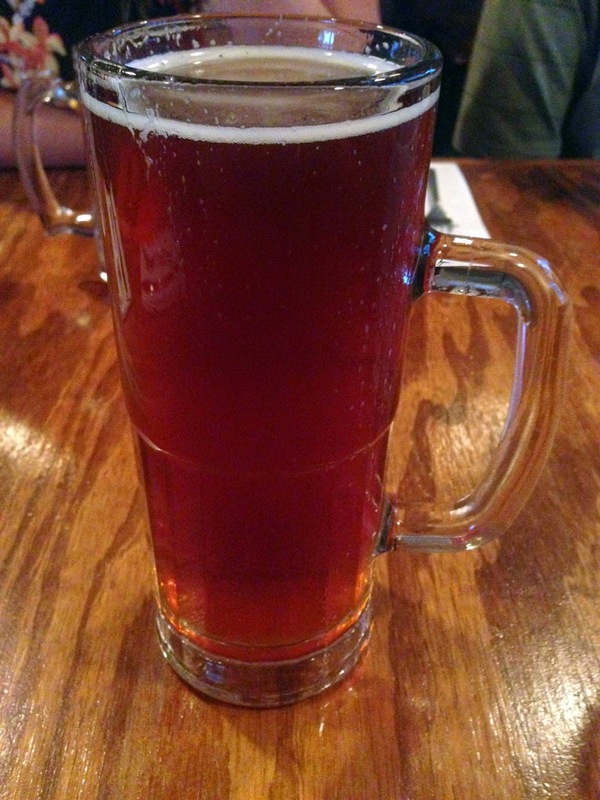 I decided to go with the Pensacola Ba IPA in the jumbo, 20 oz size (hey if you're going to drink, then drink, right?). This IPA was appropriately bitter with great depth, color and secondary flavors - I think it was my favorite restaurant-bought for this trip. 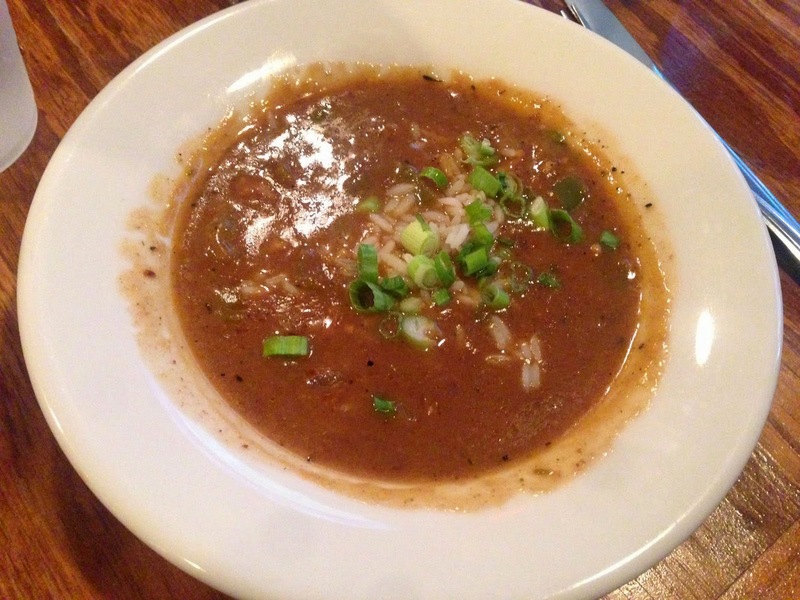 Seafood Gumbo - served in a bowl over rice. 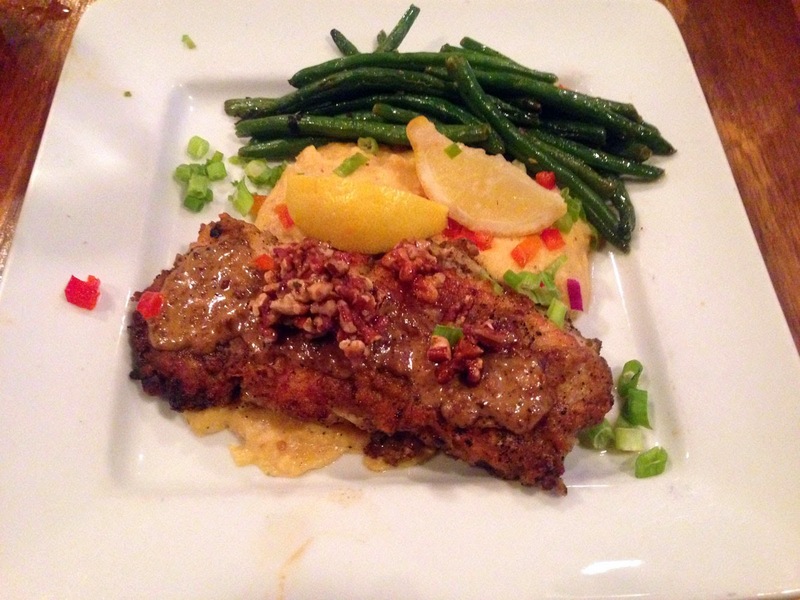 Pecan Encrusted Grouper with grits and green beans - this last is what I ordered and I can speak the most regarding it. For me I thought it was a bit over-done (not that it was over-cooked - that part was perfect) with the pecan, which totally dominated the flavor of the fish. 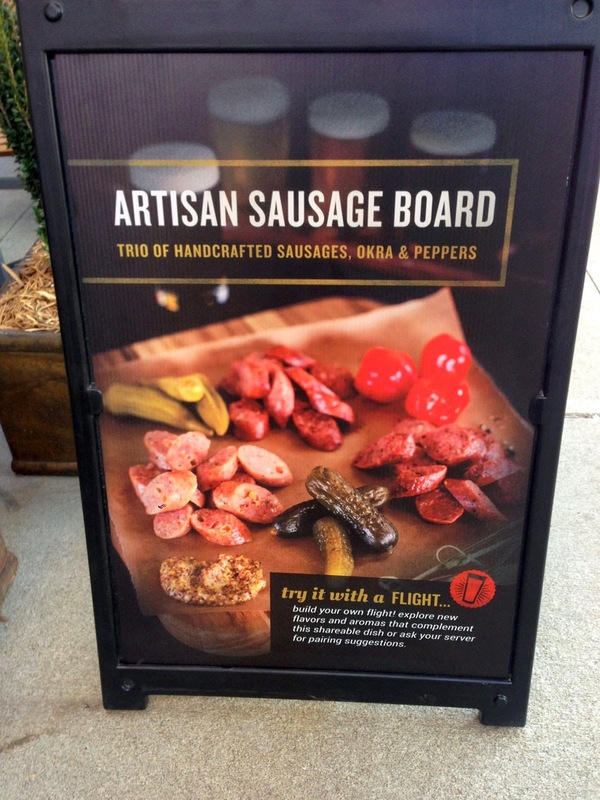 I can see why it would be very popular, especially in the South. 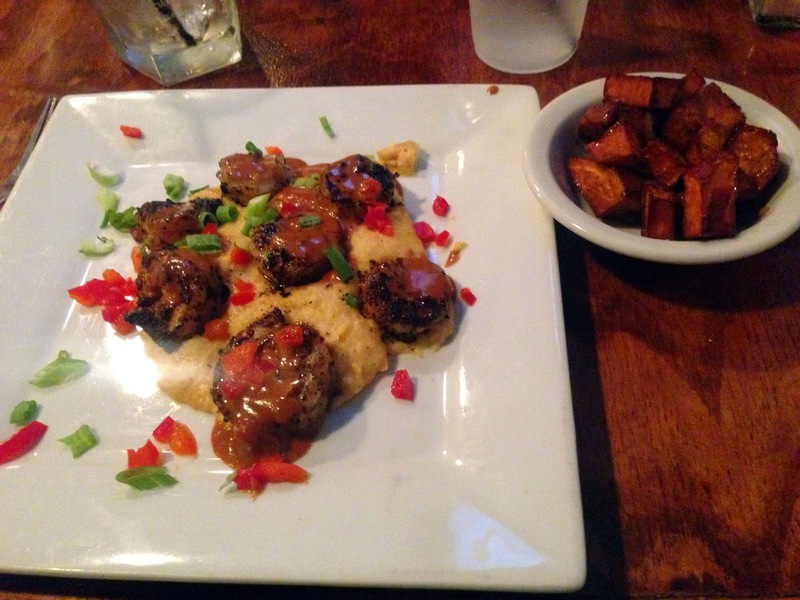 I thought it had a bit too much fatty mouth-feel, especially with the grits. The lemons don't add anything to the flavor but do add a bit of acid that's usually good to cut the fat. 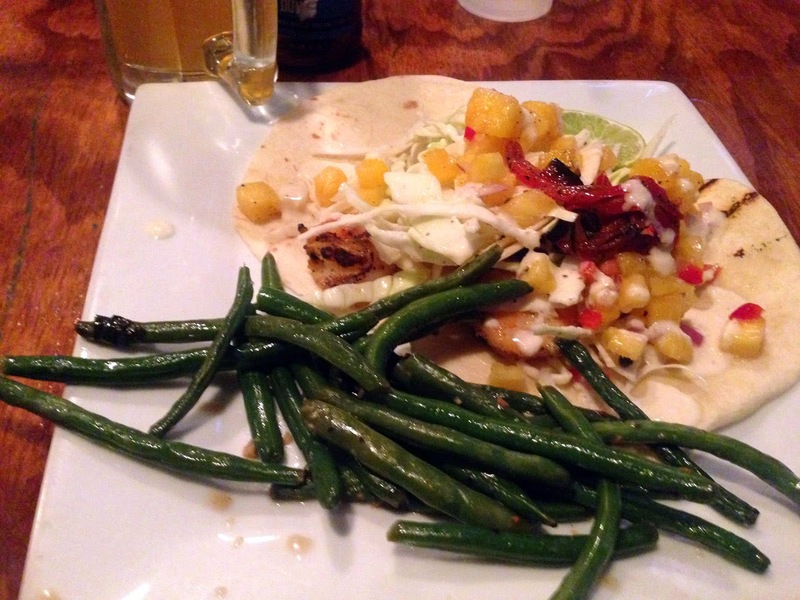 I would rather have seen this served on some sauteed-with-lemon greens like kale or chard, with a side-starch. The dish felt very heavy - but this is my own opinion, most of you who like fish and nuts, especially pecans, will enjoy this very much. All of the grouper I tried (in the various dishes) was in general superb, as were the shrimps. 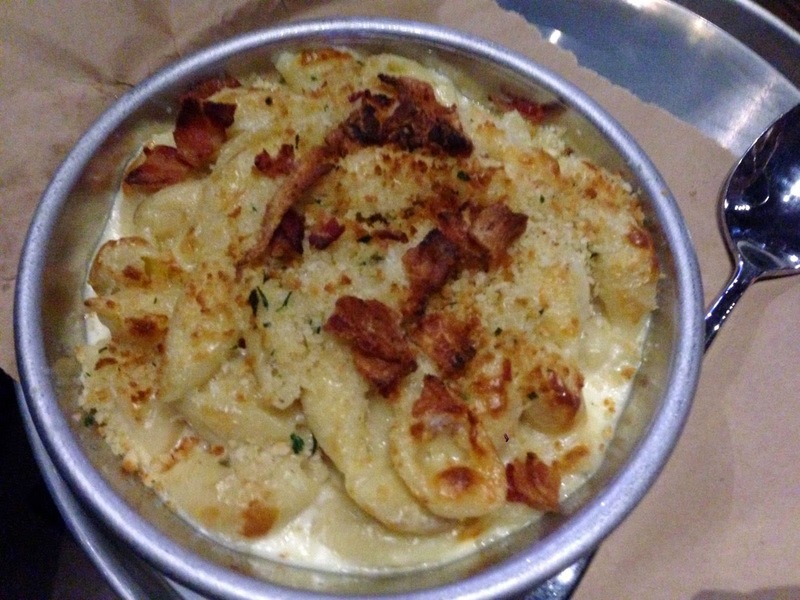 This will definitely be a spot for future visits. 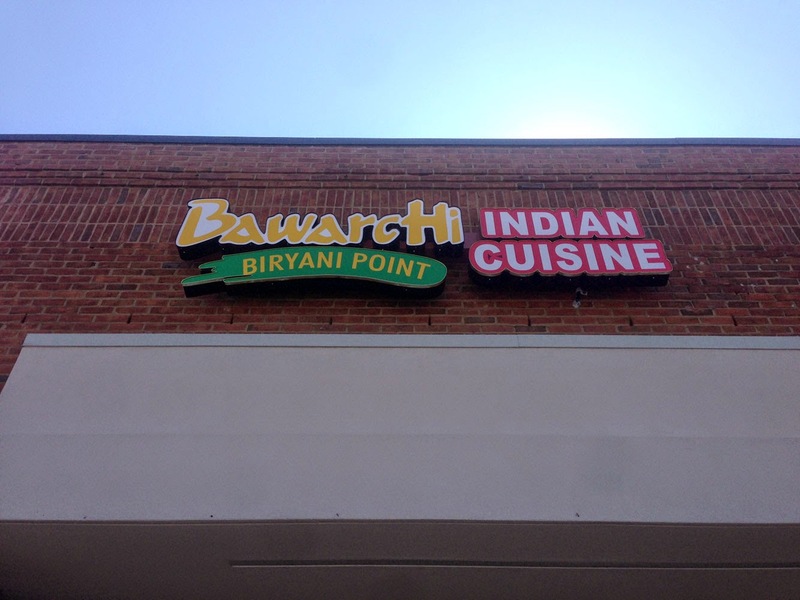 BawarcHi Biryani Point is located at 6627 Roswell Rd, STE A, Atlanta GA 30328 in the same Publix shopping center that hosts Ippolito's (it's a couple of business to the left of Ipps) in the former location of a different Indian restaurant (from what I recall). 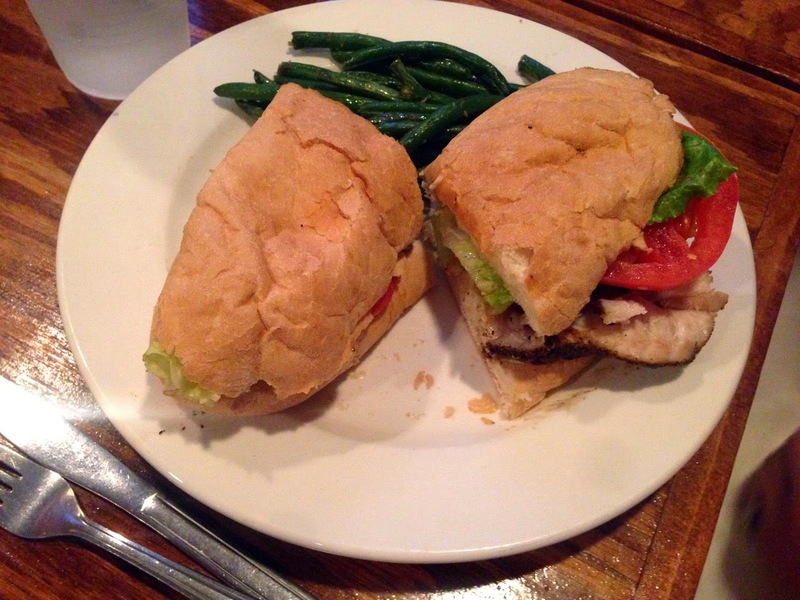 The storefront is very unassuming and belies the delicious goodness found within. 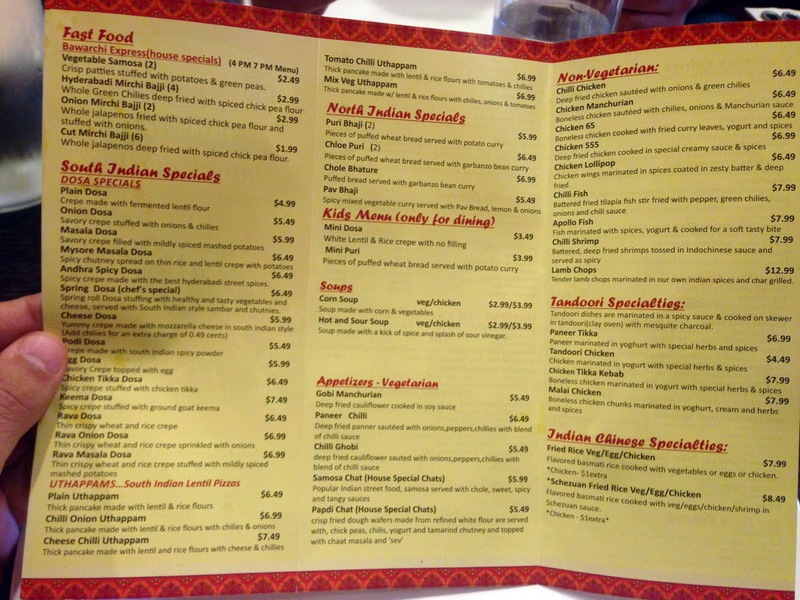 I had heard about the restaurant (part of a chain) previously and finally did lunch here with a group from work including several Indians and vegetarians. We were able to sample several dishes, with the star being the biryani. 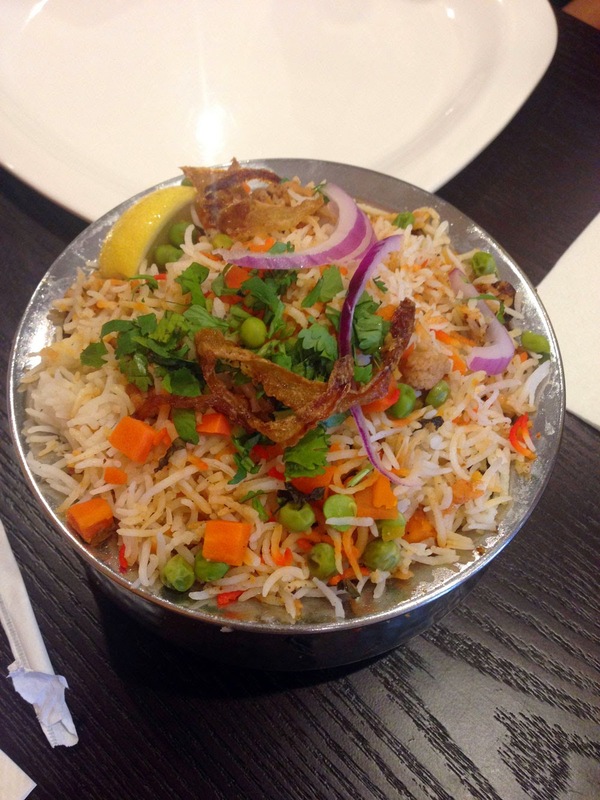 I like to describe biryani to those uninitiated as "Indian fried rice" - not that it's fried, but it does approximate what many Americans have tried that's similar in classic Americanized Chinese cuisine. 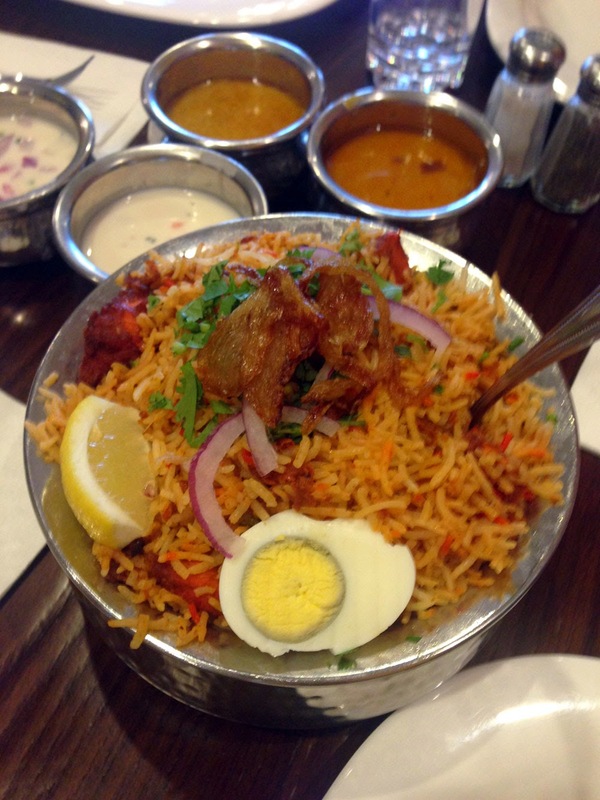 Biryani is found all across India, assoicated with Mughlai cuisine in Delhi, the Awadhi cuisine in Lucknow to the North, and with Hyderbadi cuisine in the South. Biryani is made by combining spices, herbs, butter and in non-veg traditions, meats and fish into the rice as it's cooking - you'll also see some varieties with nuts such as cashews and dried fruit like raisins. The flavors infuse into the rice and the results go way beyond the "toss with soy" familiar Asian fried-rice. 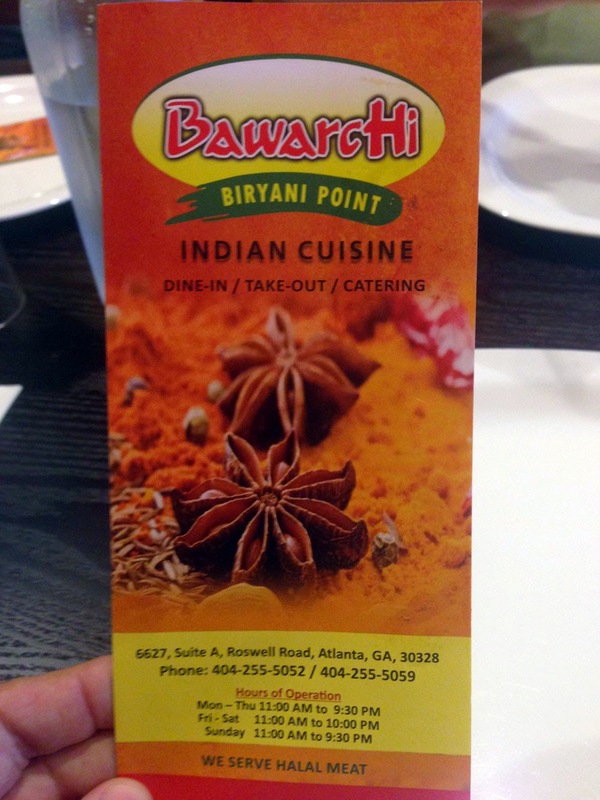 I was excited to try BawarcHi as I fell in love with biryani while visiting India earlier this year. Being Asian, I usually prefer basic sticky rice over fried rice - and the usual Chinese stuff doesn't work for me when I do feel like it fried - my preference is the egg fried rice you find in Japanese restaurants. You do need to be a bit careful as the cooking experience often involves whole seeds - nothing like getting a bite of whole clove, a cardamom pod or a star anise fruit. Meats cooked into biryani provide superlative flavor that produces a melange of subtle spices, sweet herbs, savory meat and of course the rice as a base. You can basically make a meal out of a biryani by adding a bit of raita (Indian style, it's a spiced curd aka yogurt in Western culture) that's puddled in the biryani to make it creamy and of course a naan (my favorite is fresh garlic naan). 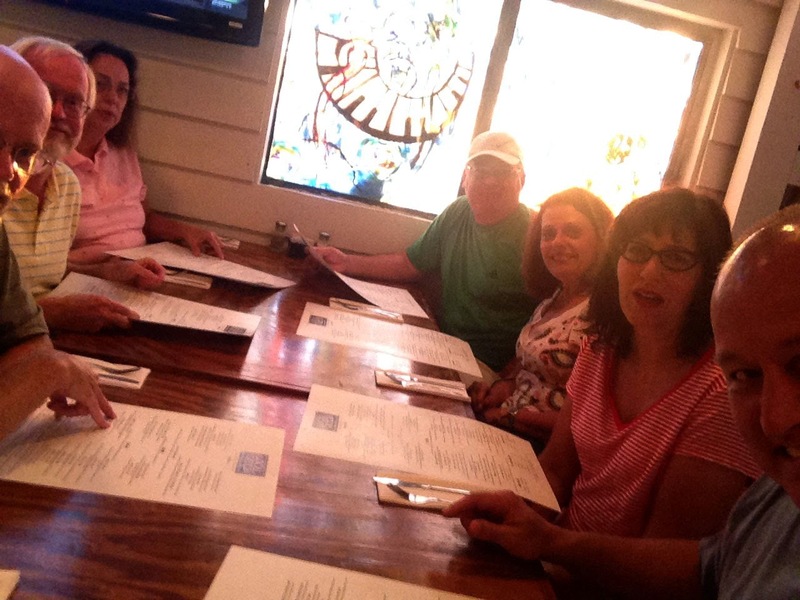 Our group during lunch comprised 7-8 people so we ordered a variety of foods. For appetizers, we ordered Chicken 65 and Chilli Chicken - both were quite good and disappeared before I could get photos of them - actually much of what we tried went too quickly for me to get good shots. 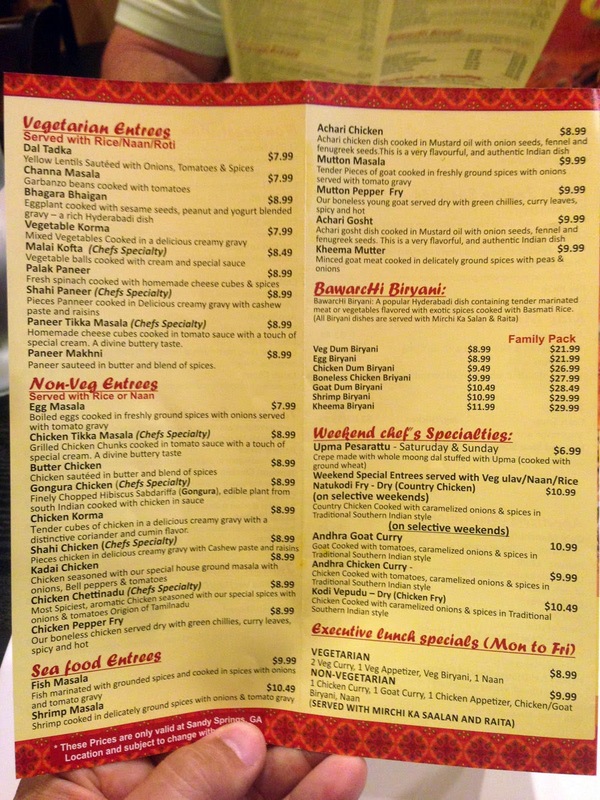 I had a bit of discussion with my friend Sangam regarding "Chicken 65" - I've seen this before, most recently at Himalaya's on Peachtree Ind - but where did the name come from? It's basically a vinegary chicken with ginger, garlic, red chilies and curry leaves originating from the Chennai region. One story says that it takes 65 ingredients (obviously false), another that it takes 65 days to make the marinade (not likely) or that the chicken is parted into 65 pieces. The most likely is that the dish was introduced in 1965 by the Buhari Hotel (who also offers other numbered dishes relating to the date introduced). We ordered two biryanis - a Boneless Chicken Biryani (which I highly recommend) and a vegetarian Veg Dum Biryani - both were quite delicious and either could be shared by two - they are served in large crocks. 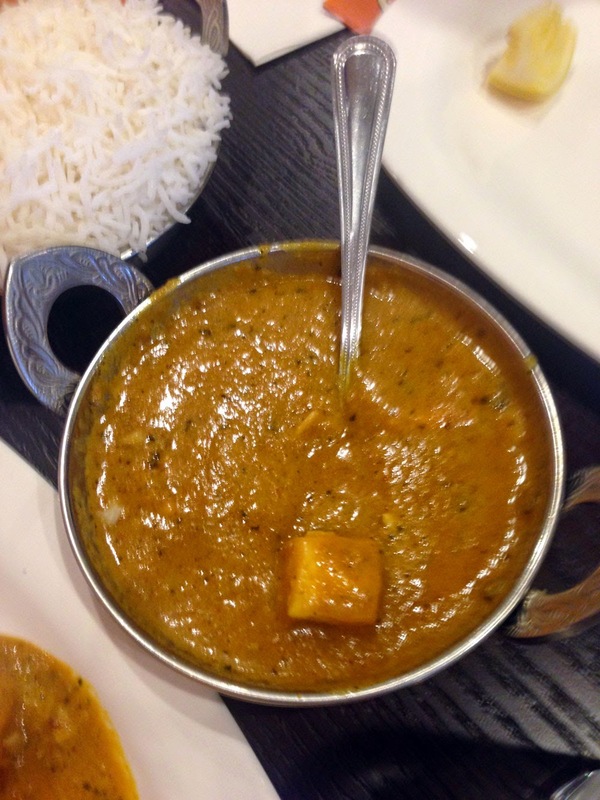 We also ordered a Paneer Makhni and an Egg Masala (those for the vegetarians), a Chicken Tikka Masala and a Mutton (goat) Masala - all were quite good - the egg was a bit weird to me (whole boiled eggs in sauce). 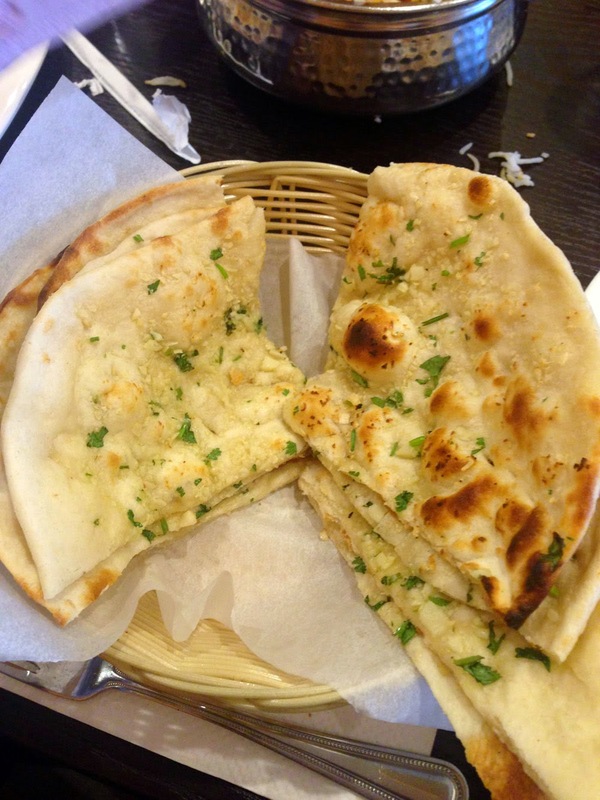 Accompanying was a double order of garlic naan. I spotted a huge Masala Dosa being carried to another table - this became my favorite Indian breakfast item - basically a thin crepe stuffed with spiced potatoes served with a trio of chutneys - quite delicious and the version I spotted at BawarcHi looked great (though it was missing the traditional banana leaf "plate"). 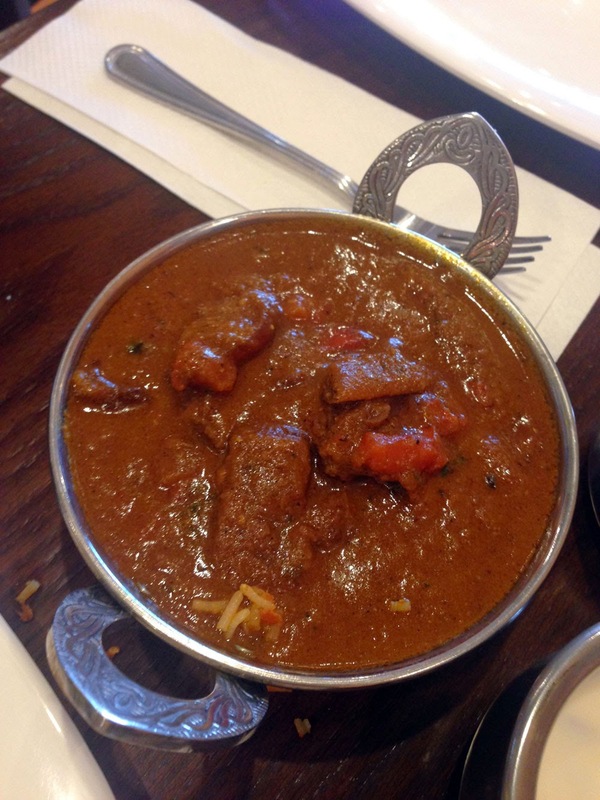 In general I thought the food was mostly very good - with the biryanis being the best dishes. Service was a bit spotty (expected in a new business). This will become a regular stop for my lunch group.